Norfork Lake fishing has been fun for many of our guests over the last week. 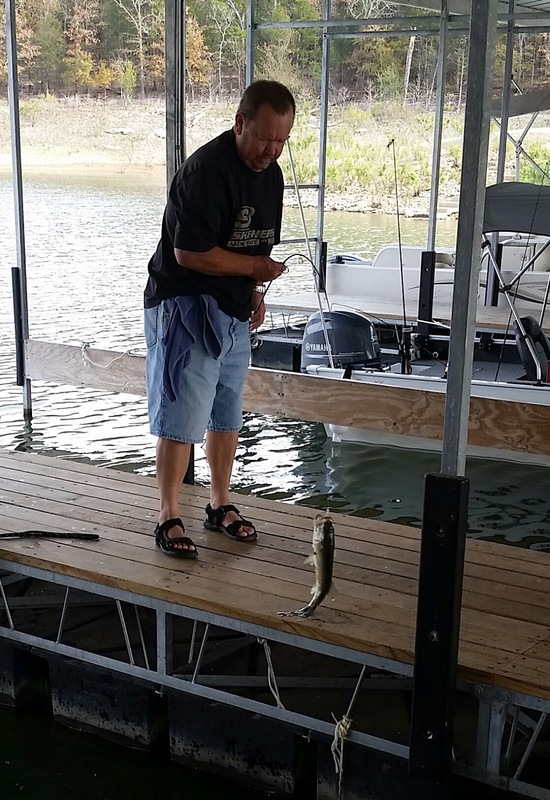 Whether fish are big or small it is always fun to be out on the lake and reel in a fish. Fall has arrived with its varying weather patterns which seem to change daily, 80's one day and the next in the 40's and 60's. 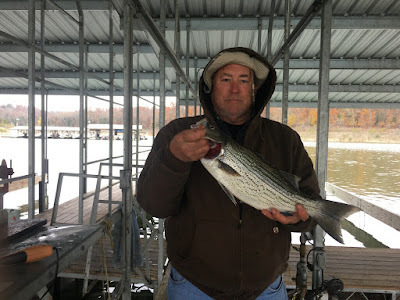 It seems that the cooler the weather the better the fish bite. Over the last week I have seen a big change in the location and the size of the fish. The bigger fish are starting to move in. Striped bass fishing has been mediocre for the last several days, but today I believe most of our guests caught a few hybrids and/or stripers. This may be the sign that the stripers are finally coming out of their deeper habitat and are wanting to feed. At the beginning of last week I saw the bait migrate back into the creeks. I found large schools of striped bass and hybrid bass back in Float Creek as well as back in Bennetts Bayou. The massive amount of bait has since moved out of Float and are back on the flats. 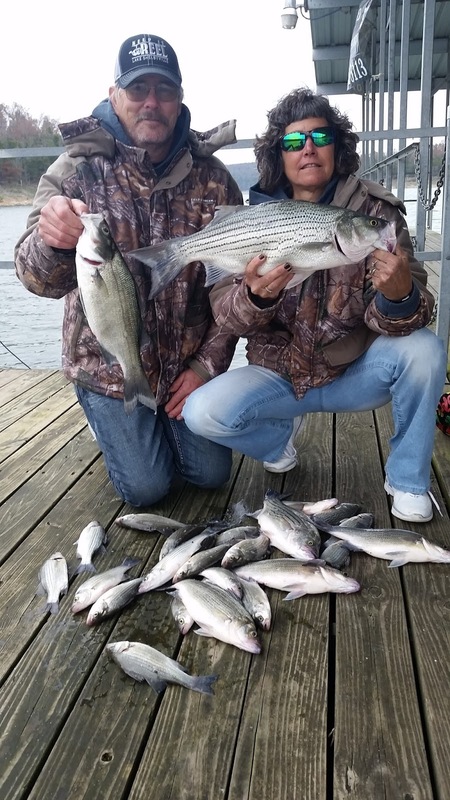 The main lake flats are typical locations for stripers at this time of year. If you are looking on one of the flats, concentrate your efforts in 30 - 50 feet of water. 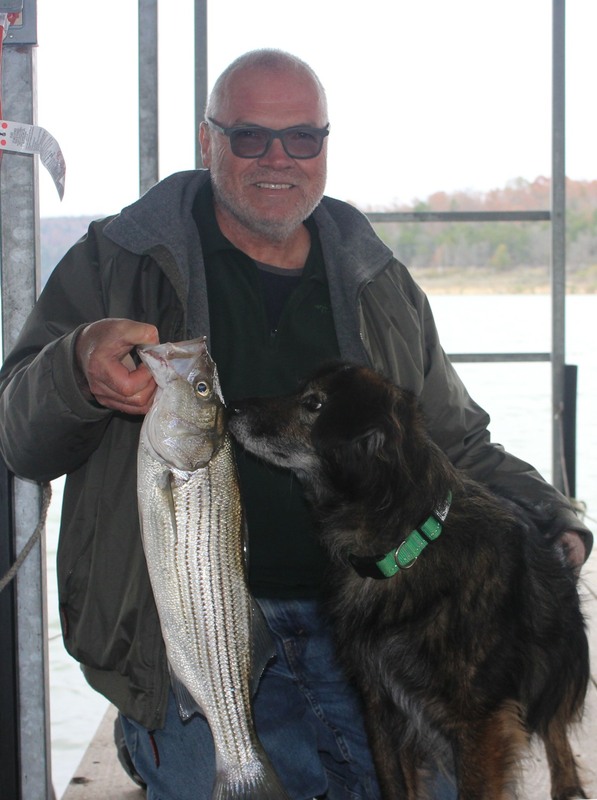 This is not to say the striped bass will not be up in 20 feet or less of water feeding at night or very early in the morning. The bite for my group of guests has started after sunrise and starts to slow by late morning. Vertical jigging a spoon has been the bait of choice for most. Once the fish are found a blade type bait, such as a Kastmaster has been working well. Swim baits with at least a 1/2 ounce jig head on it to help it sink should also produce some nice fish. 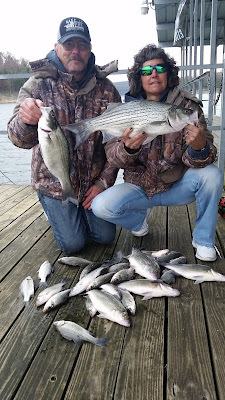 Casting out an Alabama rig produced some nice hybrids and white bass for one of my guests last weekend. 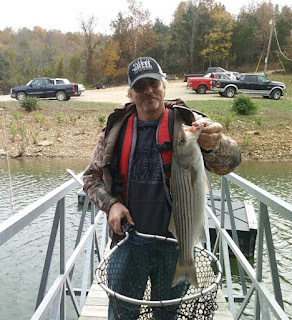 White bass have been really plentiful this year. There are mixed sizes of fish in the schools, from 8 inches long up to the monster 14+ inch fish. This species can be found on the same flats as the stripers. 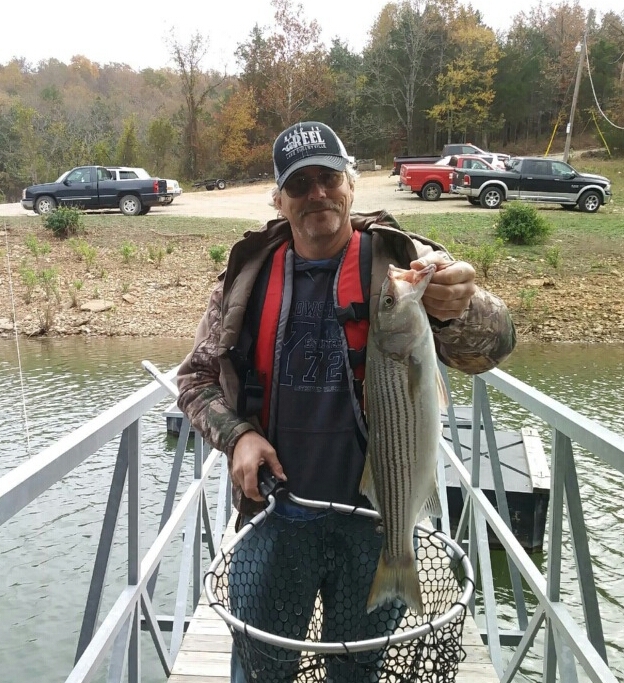 You will find school after school of whites then all of a sudden the stripers and hybrids will show up. 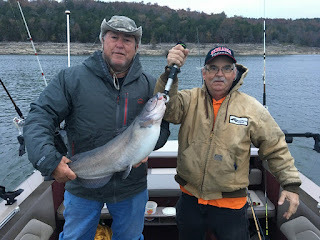 Over the last week it has been possible to catch 50 - 60 fish of all sizes in a very short period of time which is a blast. I have been vertical jigging a 3/4 ounce spoon for all species. Crappie fishing is still good. They are on the top of and inside of brush piles in 25 - 40 feet of water. Artificial baits are working well, but live minnows are working the best for the biggest numbers of fish. 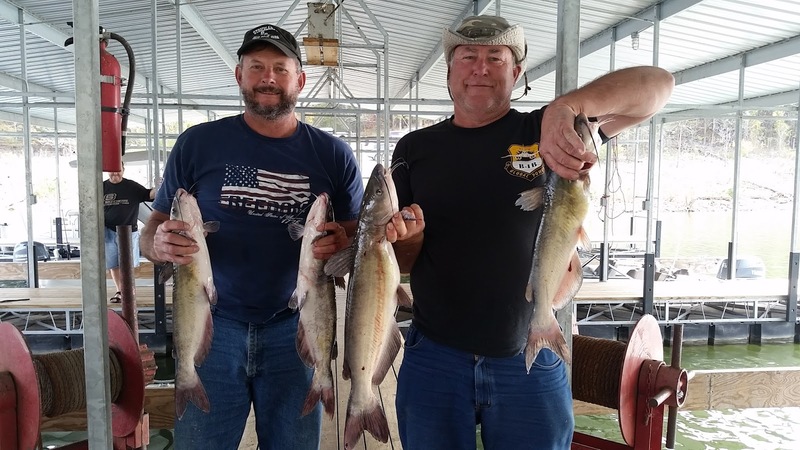 Catfish are being caught on jugs using nightcrawlers and live threadfin shad. Some good sized fish are being caught. 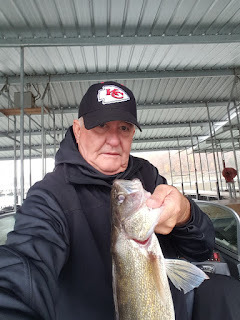 Walleye can be found on the same flats as the stripers and the whites, in fact you have a great chance of catching all species in the lake fishing the flats, once you find the bait and energetic and hungry fish. I had a guest walleye fishing over the weekend and he had good success casting a Flicker Shad to the shoreline on the shallower banks. Most of his fish bit when his bait was to about 15 - 20 feet deep. 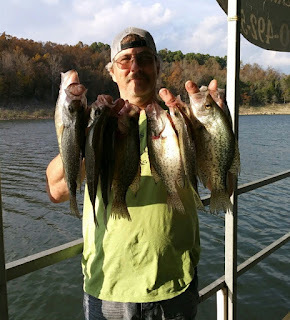 He also caught a few on jerk baits close to shore in the late afternoon. This may be the start of the night bite for walleye and possibly striped bass. 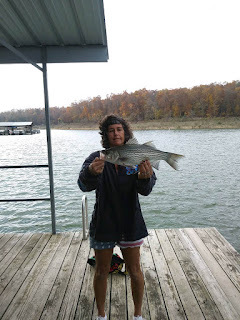 Bass fishing has been good and they are being found in all the different types of locations. I have found large schools of largemouth bass and spots feeding on the flats in 28 - 33 feet of water. They are also being caught along the deep bluff lines hugging the rocks in 15 - 25 feet of water. Head back into the backs of creeks in the shallow water, as long as the bait is in the area the bass will be feeding. A few afternoons ago one of our bass fishing guests got into some nice topwater action for big largemouth bass. 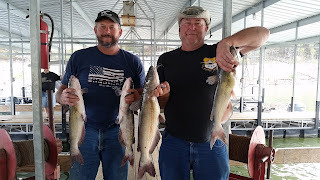 They had a blast for about 45 minutes casting topwater baits. For the afternoon bass fisherman, check out the shadow side of docks, there has been some really nice sized fish caught under my dock. The lake level is holding fairly stable with minimal power generation and currently sits at 552.96. The lake surface water temperature has been fairly constant for the last couple of days at around 65 degrees. I expect to see this water temperature drop over the next couple of day with the cool nights we have in the forecast. The overall lake is starting to clear, but you will still see a slight stain in the creeks, as well as, parts of the main lake. The Bassmaster's Team Championship will be held on Norfork Lake the beginning of December. 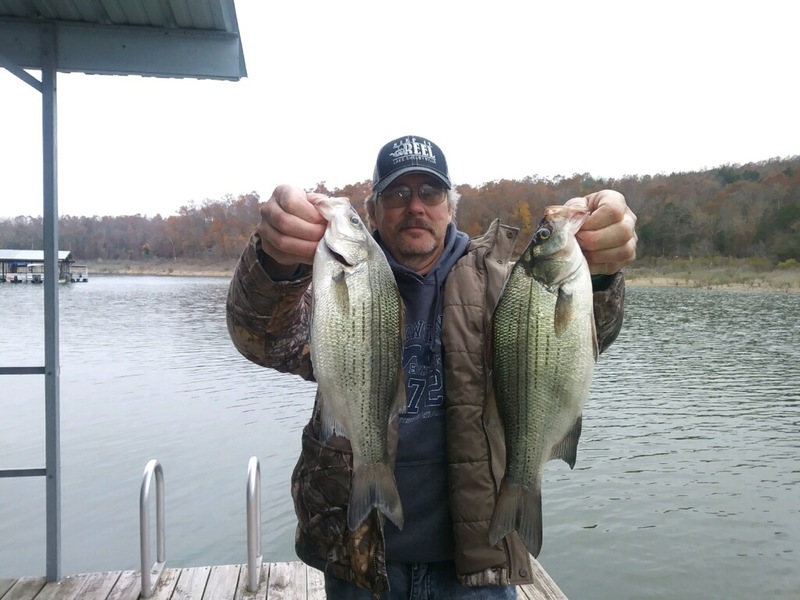 It will be exciting to see how these expert fishermen attack our late fall early winter bass fishery. 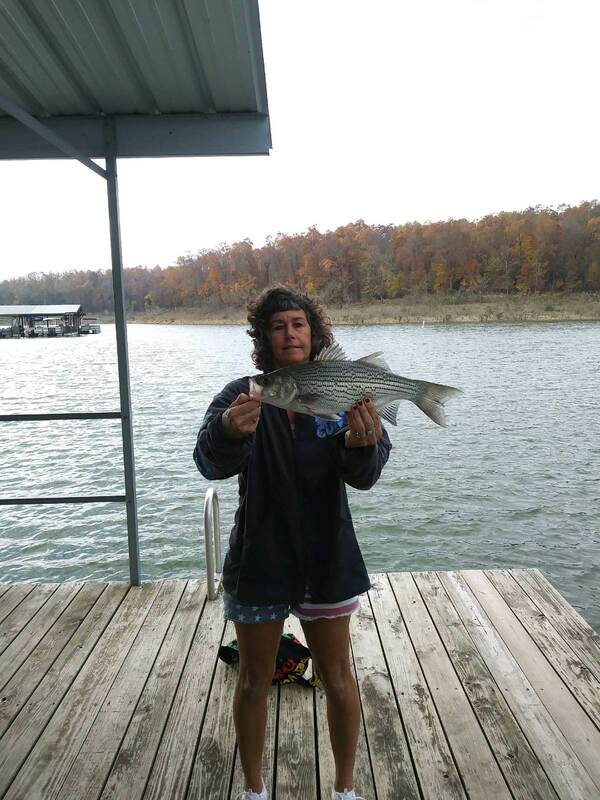 Hummingbird Hideaway Resort still has some cabins available for the tournament so give us a call at 870-492-5113.